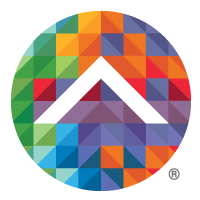 Surveys are useful tools to gain information and anticipate where the market is going. It becomes essential for preparing your skills to meet the demand for future positions. When it comes to outsourcing in the ever-growing IT sector, 200 executives have answered a survey trying to outline what sort of knowledge and skill will be sought for. Bluewolf conducted this survey to find out that half of the companies represented by the respondents are planning to seek contract-based help from cloud and mobile development talents. Rather than hiring full-time members of their teams, around 48% of companies prefer to contract talents that can work project based. It appears to be a win-win situation in which the contractor gets the talent it needs for the time being and the contracted professional has the flexibility of working on chosen projects and is not constrained to office hours and grounds. Software development: 46% of companies appear to outsource the development of their applications which is the most wanted category. From those surveyed, 30% admit that are looking to increase outsourcing in this area. Either looking for freelancers or using consulting firms, the biggest hires are in software development, QA specialists and Salesforce development. Mobile and web development: on a close second spot stands web and mobile development with 39% of respondents saying they use outsourcing. From this percentage, 18% are going for consulting firms while 16% use cloud-based services. The skills needed target UI/UX designers, Android, and iOS developers and front-end devs. Data center operations: 23% of companies are looking for skills like data warehouse developers and architects or QA professionals to outsource for their data center operations. App hosting: Consultants with multiple language skills and expertise in hosting applications and developing software are sought after by 28% of companies surveyed. App maintenance: Consultation firms that offer app maintenance services are contracted by 19% of companies that look for skilled software developers and system administrators. Outsourcing to Eastern Europe is more popular than ever. According to a new study done by Deloitte’s 2016 Global Outsourcing, 65% of companies who outsource do so in Europe. 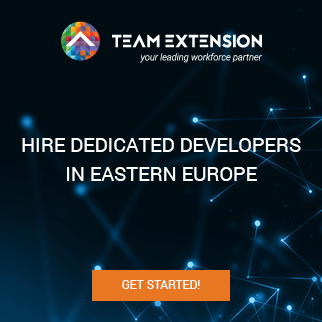 Today, Eastern Europe is developing at the speed of light, which has resulted in an outbreak of innovative specialists in all the industries mentioned above, among which tech professionals really stand out. Romania’s reputation as an attractive outsourcing destination is on the rise. Thanks to Romania’s high number of IT professional, multilingual, highly-skilled labor as well as its location, Romania has become one of the most compelling destinations for software outsourcing in the world.